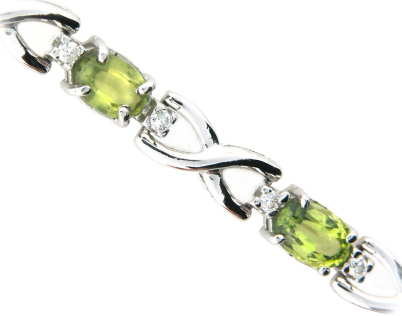 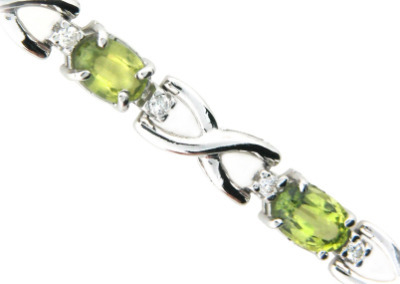 Peridot and diamond bracelet in white gold. 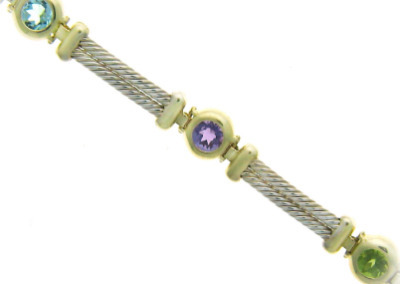 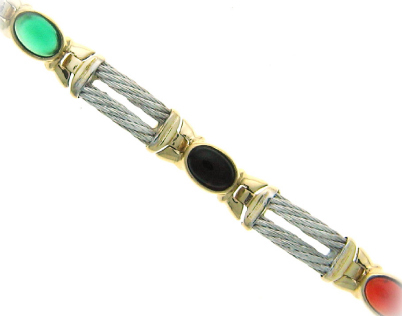 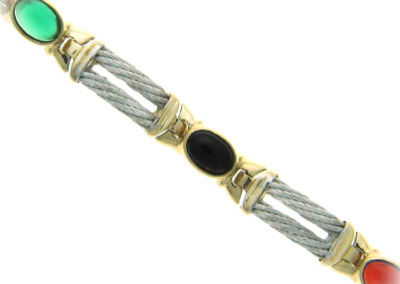 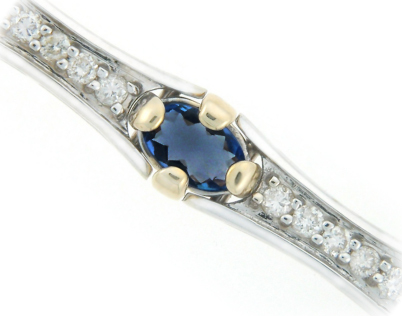 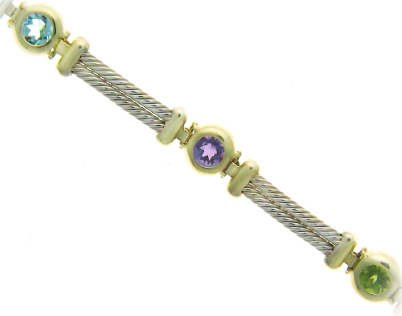 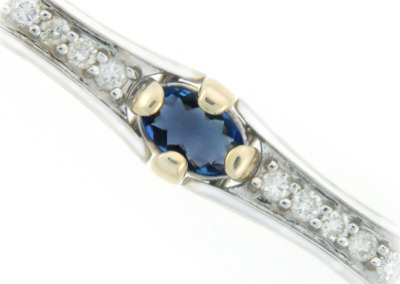 Multi-gemstone bracelet with blue topaz, amethyst and peridot. 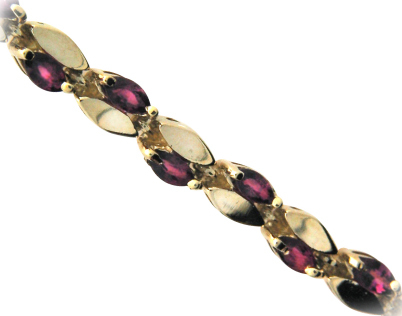 Cabechon emerald, sapphire and ruby bracelet in yellow and white gold. 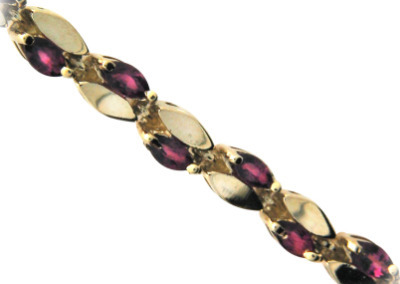 Ruby bracelet in yellow gold. 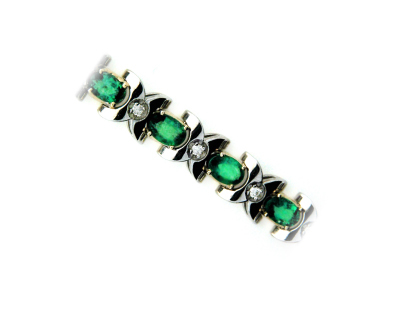 Emerald and diamond bracelet in white gold. 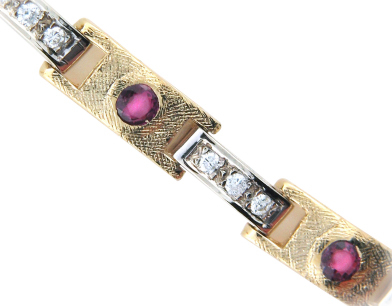 Ruby and diamond bracelet in yellow and white gold.